The number of companies who have survived on the busy writing market for over one decade is low. But, the number of those who have been there since the beginning is even lower. Superiorpapers.com falls into the second group, since they’ve been there since 1997. Long years of work mean many comments from customers, which is great for you. You can learn what others think of the service easily and thankfully, the comments for this service are mostly favorable. 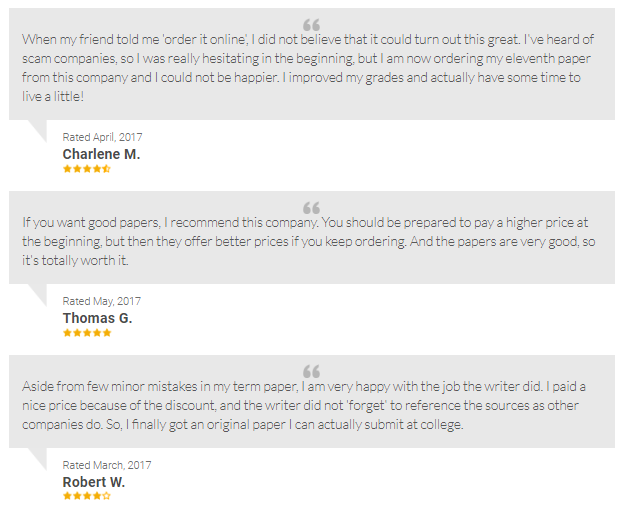 Students seem to like their papers and the discounts, as well as the customer service. To check the credibility of all those comments, we took a close look at one of the oldest writing companies we’ve reviewed on the Web. Just PhD and MA writers sounds safe and judged by the popularity of Superiorpapers.com, it sounds true, too. This service doesn’t have hundreds of writers working for them, which means that their team is made of carefully-picked experts. Superiorpapers.com has recently introduced a very interesting approach toward discounts which also determines the selection of writers. 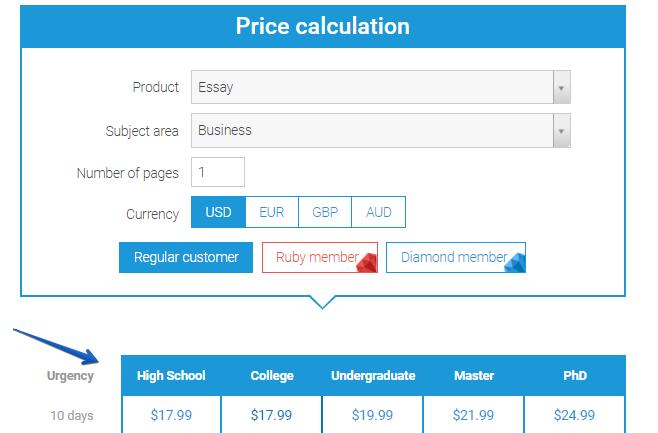 As it seems, if you purchase a subscription for their Ruby or Diamond membership, you’ll get the discounts on the papers, as well as get assigned the top writers they have. We’ll discuss this further in the pricing section. 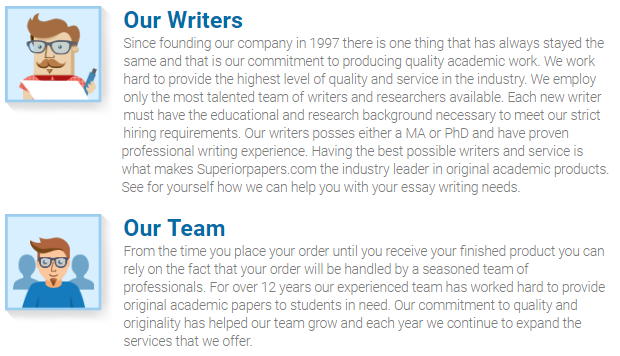 Before we even got into making an actual order to check the quality of papers and writers, we were highly expectant of their services due to the popularity SuperiorPapers seem to have among students. This is one of the very few services that have remained popular for decades, which is a tough thing to accomplish. From what students say, they are reliable and trustworthy, and the papers are worth the rates. When we finally got our hands on an actual writing done by one of Superiorpapers’ experts, we realized what the fuss was all about. Our order came with this amazing discount of 20%, which made the rate really great and honestly, very unexpected. The rate was low, which concerned us because in most cases, such rates mean low quality. But, once we received the paper, we understood why customers were so happy with this service. We got ourselves a dissertation chapter for a PhD level. As complex as this assignment is, the writer did wonderfully. The chapter was so well researched, it needed no additional work. All sources were referenced as per the requirements we sent – exactly as their customers said. A regular customer is entitled to pay a price that begins at $17.99 for a page. This is the lowest price you can expect to pay if you decide not to purchase any of the memberships. The chance to purchase a membership is new to us because most companies have a loyalty program that only starts when you have ordered a certain amount of pages or spent a certain amount of money. The chance to buy a membership and with it, a continuous discount that is valid on all orders is an excellent opportunity for those who order often. The memberships aren’t very expensive either, especially if you purchase them for a longer period of time. The first membership is the Ruby membership which you can purchase once you have made your first order. That order comes with 20%, which means that if you choose to buy a membership afterwards, you will never have to pay the original rates at all. Getting the Ruby membership costs $39 per month and gives customers 10% on all their orders, as well as a free draft. The Diamond membership is for those who wish to have the top 25 writers to work on their papers, as well as enjoy benefits like a free draft and an originality report for each order. This one is priced only $10 higher, so a monthly fee would cost you $49. With it, you are entitled to 15% discounts on all orders you make. The customer service of Superiorpapers.com is among the highest rated features this company has. It is available all the time and they have plenty of ways for you to reach them. Moreover, if you are a member of the loyalty program, you will get the shot to work with the top writers, which is something that is hardly achievable with other services. In fact, by the point where students get to the highest discounts of 15% with other companies, they have almost reached the end of their education. Having a chance to buy into a membership and enjoy discounts of 15% on all the orders you make is great news if you want to order regularly. Students who don’t order a lot don’t prefer this option, so they decide to pay the original rate instead. Basically, it is up to your preference, but the customer service is available to all, no matter what you decide. Superiorpapers.com is a popular and trustworthy writing service and has been one since 1997. Our experience combined with the research we did on testimonials and features offered by them yielded excellent results. SuperiorPapers has proven to deliver high quality papers and features that you can hardly find with any other company you order from. If you are looking for a team with good prices, experience and passion, this essay company is a great choice. Each paper I am ordering from them is great. I highly recommend them to everyone who don’t love writing. They are writing excellent quality paper. With them I’ve improved my grades, got more time for my friends, family and part-time job, and of course made a huge step to my graduation this year. These guys are OK! The delivered my essay in six hours after I placed an order and it was amazing, well-researched and creative paper with no mistakes. They followed all my instructions and I am happy with the results.